Tusten Farm Lane (Sold): Sun-filled farmhouse on 4 acres, Narrowsburg. 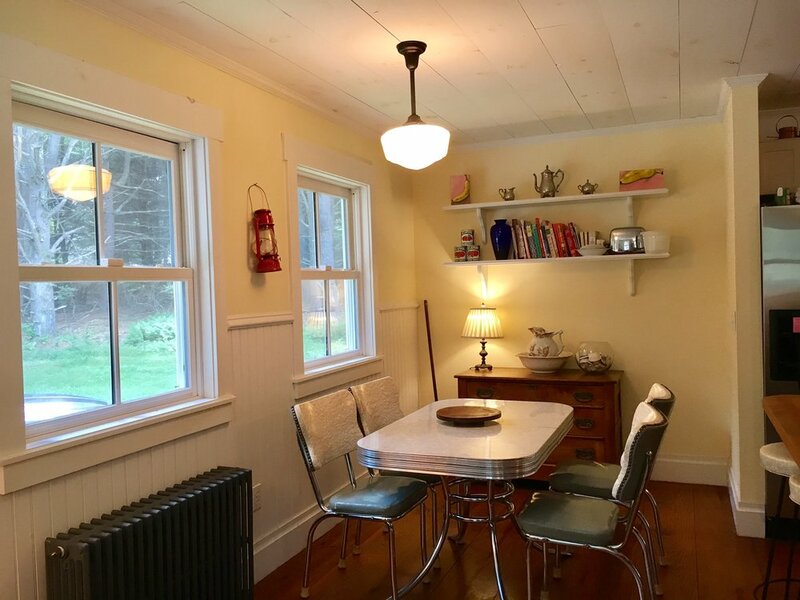 $399,000 — Country House Realty: Fine Catskills and Upstate New York real estate, including Sullivan Co. and Ulster Co. 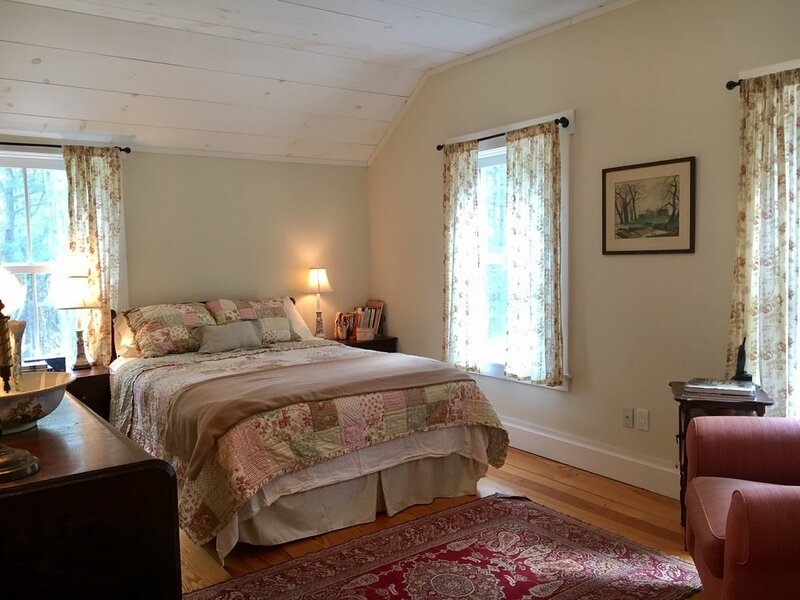 Looking for a private farmhouse retreat near a thriving riverfront town? This Catskill Farms beauty, built in 2003, is a perfect blend of rustic country lines and soft cottage chic. Its setting is dreamy, too, tucked away on a private lane between two small lakes and deep woods. This prime spot is on the southeast edge of Narrowsburg, about 15 minutes out of town center (which makes it 15 minutes closer to NYC!). Enter the house from an inviting wraparound porch, using one of three large staircases, all painted a genteel aqua blue. The porch is a room unto itself, and offers a wide berth to enjoy the summer in style and shade. In addition to the screened front door entry, there is a set of French doors that connect the living room to the porch. Inside, the first floor is an open layout that wraps around a solid core. The current owners have it set up to flow from living room to dining area to a huge kitchen, then around to a second eating nook, and another living room. You could also use the second living room as the dining area, and have those activities separated by the house's core. In other words, it's a flexible layout. Plus, there's a bonus room in the rear of the house. Could be a smaller fourth bedroom or used as an office, as it is now. Behind the kitchen is a large bathroom and a separate laundry room, and also the rear exit that leads to a small deck and the BBQ grill. Upstairs are three large and sunny bedrooms. The bedrooms and the upstairs bathroom all spoke out from a small hallway. Each bedroom has windows on two sides of the room, and ample closet space. The light is really great throughout the house, lot of windows to let the sunshine bounce off a mix of soft white and yellow paint. It's worth noting the exterior was just scraped and painted, and the deck and stairs were refurbished and repainted as well.